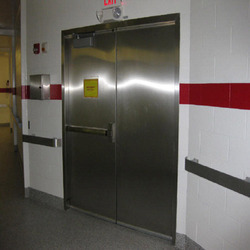 We are a leading Manufacturer of stainless steel doors from Bengaluru, India. When Stainless Steel Doors and frames are required, ESTEE closely works with designers to produce entrances that are as functional as they are beautiful. Looking for SS Door ?